Now you can watch live 2010 FIFA World Cup South Africa matches in 3D, thanks to the collaboration between Sony Corporation and FIFA. In announcing an agreement for selected media rights of the 2010 FIFA World Cup in South Africa, Sony said that up to 25 matches will be produced using Sony’s 3D professional cameras, providing coverage of the sport action that is unprecedented in depth, vividness and excitement to people around the world. It is well and good to keep in touch with friends via Facebook or other social networking sites, but being informed of their every move on the Net is rather trying on the soul. One does not need to know what prize a friend has just won in an online game, or which shopping website another friend has just visited. The news feed from Facebook can be rather annoying unless one is a stalker. Here’s a great way to “shape up” for ladies who spend long hours sitting in front of the computer everyday and not having extra time to exercise. Introducing the all new Chaise Him and Chaise Her chairs. The fundamental basics of buildings is to provide shelter and protection to people. Unless it is an office space or workstation, most people need an enclosed space for personal living and privacy. However, against conventional practices, a Hungarian architect Aron Losonczi, has developed a see-through concrete called Litracon (Light Transmitting Concrete) which can be used for both residential and commercial purposes. The wireless option is available almost everywhere in buildings but it has not yet been made commonly available in cars. Cadillac has recently announced the in-car wireless option for its CTS sport sedan. 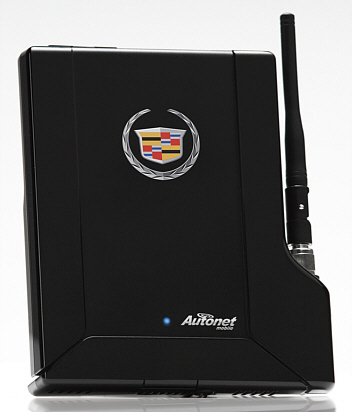 Known as Cadillac WiFi, this car by Autonet Mobile can be installed by dealers and will cost users $29 per month. The device can also be transferred to another vehicle. The market leader in innovative applications for digital media, Roku has announced that Roku customers can now access more than 40,000 selection including top new release movies and latest TV shows from Amazon Video On Demand. 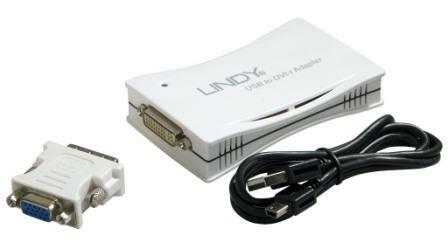 Lindy has launched a new USB to DVI adapter that allows you to connect an extra monitor to a PC or laptop by using the USB 2.0 port. The adapter can be used to extend or mirror your Windows desktop or even as the primary video output. This is very useful for the user who needs a bigger display for working such as a graphic designer, blogger, etc. What is better than a telescope as a Christmas gift for that cousin of yours who is crazy about astronomy or the Milky Way? Especially when you are low on budget this month… The link to a free and open source space simulator should do the trick nicely. Celestia allows visitors to witness exciting celestial events which happened in the past or will happen in the future. It is available for download on Windows, Mac OS X, and Linux.